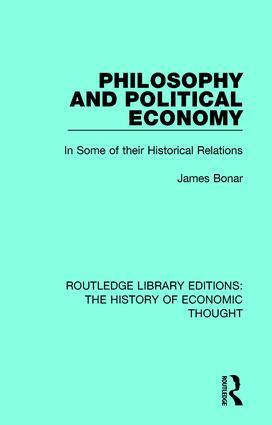 This classic text, first published in 1893, was the first attempt to present a view of the relations of philosophy and economics through the whole of their history. In tracing the history of this relationship the author begins by examining the work of the ancient philosophers and continues with the followers of the theory of natural law. He then explores the utilitarian economics and the ‘idealistic economics’. This title will be of interest to students of the history of economic thought.